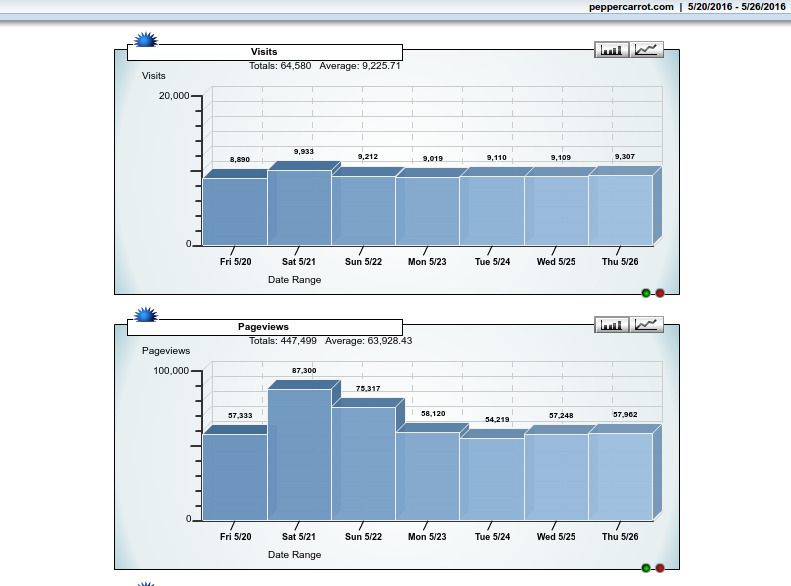 www.peppercarrot.com moved to a powerful dedicated server. Webcomic pages are now cached all over the world in 30 datacenter. Full refactoring of the Sources Center. Possibility to download big zip with all HD pages in a selected language for publishers. New repository of sources for the Blender 3D files. Quick access to all artworks without speechbubbles. Translators have now a better overview table and full credits. Better source page for every episodes ( eg. The Wish page ). New page with resources pictures for press ( logos, titles, photo, etc...). Translator/corrector credits in Author menu. Creation of a repository for collaborative work on scenarios. Renderfarm received update for more automatism. License: CC-BY David Revoy, www.davidrevoy.com, 28 may 2016 . Thank you for the nice words. Yes, with your impressive work on Morevna (managing renderfarm, Blender plugin, tutorial, production and maintainance of website+sources) I have no doubt you know very well all it takes to maintain this and how it's frustrating to do this instead of focusing on pure production of new art and content. Keep good job! Je suppose que les participants doivent faire un fork du projet puis une pull request ? 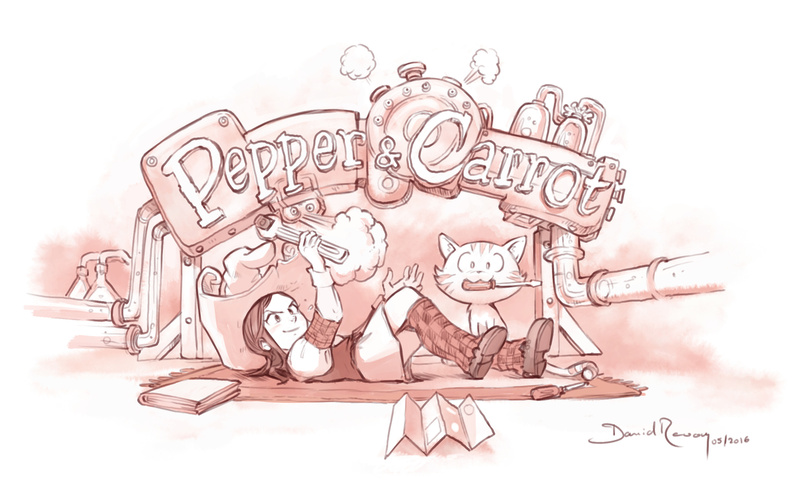 I love your Pepper&Carrot but you know CDN isn’t good news. CDNs spy on your visitors and fans. As for Github, as a FSF member, I’m aware of its evil. It’s bad for developers, contributors and visitors. - I keep just a single cookie to remember the 'lang' of the user during a couple of week. I don't need to show the 'cookie' warning. - Removed social-media-link widget that was spying. - CDN for google-font. It will be hard to avoid this one for the Japanese version of the website ; but it's a split css file. - Github for the repo. - Google-mailing-list for the translator mailing list. :-) ... but step after step, I'm working on it. I'm aware of it. Thanks for the reminder. Many thanks David, for what you’ve done. I’ve read your post on fighting CDNs. All your readers and visitors are very grateful, I’m sure.